Need an Experienced Industrial Painter for Your Next Project Near Corpus Christi, TX? GIS Construction has over 30 years of combined experience in industrial painting and coating services, which provides a high quality finish and unrivaled cost savings options to our valued customers. We leverage our experience and use today’s sophisticated technology to meet our customer’s needs and leave you with an industrial facility that looks its very best. We even bring our own industrial scaffolding to ensure every inch of your facility – even difficult to reach areas – are accounted for in your renovation or remodeling project. 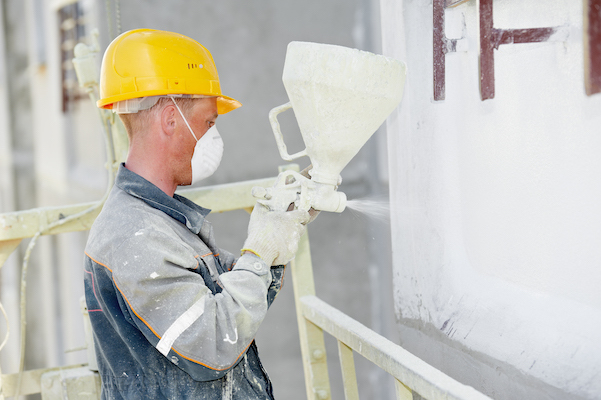 Our industrial painters also use their knowledge and experience along with advanced abrasive blasting and site-surface preparation to apply specialized coatings to meet the toughest industrial needs. We know that industrial properties can take a beating when it comes to everyday operations, but our industrial painting and protective coating services provide the perfect solution. When you combine industrial painting experience with safety and efficiency, you get the very best service available from GIS Construction. GIS Construction, LLC is an industrial painter offering industrial insulation, metal siding installation, scaffolding, and more to clients across Corpus Christi, Brownsville, Galveston, Texas City, Houston, Victoria, New Orleans, Mobile, and nationwide.